One aspect that is often overlooked in receiving warehouse docks, distribution centers, and factories is security access. Most customers come to find it is important to protect their inventory, tools and most importantly, their workers. Receiving cages are the perfect answer for these potential problems. 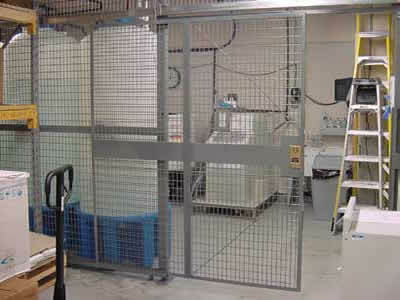 A warehouse receiving cage is a great way to protect access of the entrance. 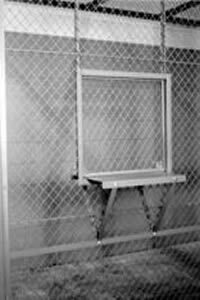 These cages are also known as wire partitions, security cages, dock cages, and man traps. 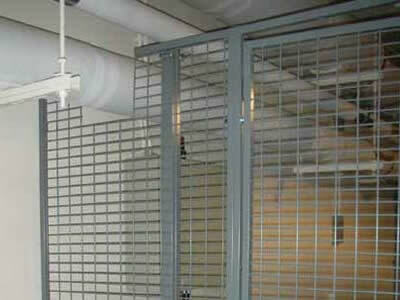 By placing a security cage or wire cage around the access point, you can monitor access of your space. 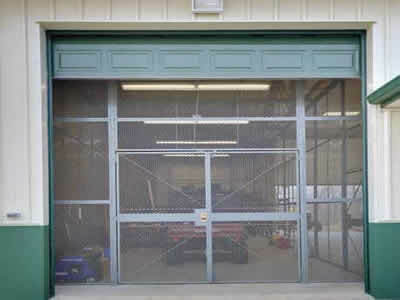 Basically, it is a cage that encloses a door or garage to only allow authorized personnel or visitor access. 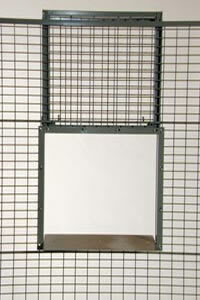 Receiving cages can be customized to fit any area; even with sloped floors or unusual ceilings. Also, there are many accessories available for different levels of security and applications. Many customers prefer to use a “service window” so each guest can check in before accessing the space. Unfortunately, every once in a while a machine will malfunction. This could mean leaving employees vulnerable to injury from any part or materials the machine loses control of. The video to the left is an example of a machine robot that is lifting 114 lbs metal blocks and when it loses control of it, the block slams into the receiving cage panel. Luckily, the machine guarding was there to protect anyone from getting hurt. Some customers use the cages to keep visitors away from aisles that are being used by forklifts and dangerous machines, to protect them from harm. We can’t stress enough how important this guarding is to protect people from dangerous situations! By installing a Receiving Cage, you can protect your inventory, tools, and valuables from theft and avoid the costly expense of having to replace them. Some customers find it more affordable to use a cage instead of hiring security to monitor the access. The cage practically pays for itself! 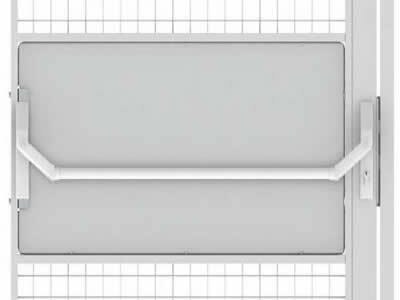 It is ideal to install a Hinged Door Panic Bar on most of your receiving cages so employees and guests can quickly exit the building in case of an emergency. The Panic Bar will allow anyone to leave the premises from the inside without the need to open any locks. Also, it's just more practical for daily use. Conclusion: Receiving Cages are Great for Receiving Warehouses! Receiving Cages can protect your employees and guests from dangerous machinery. You can protect your warehouse from theft and only allow authorized users access. There are many accessories available, for example, services windows for guests to check in at. Or simply protect your inventory and tools.